It’s a new year and time to stick to those resolutions! So this month in food, we’re giving you healthy recipes for all the times you eat. This week, it was healthy breakfast. 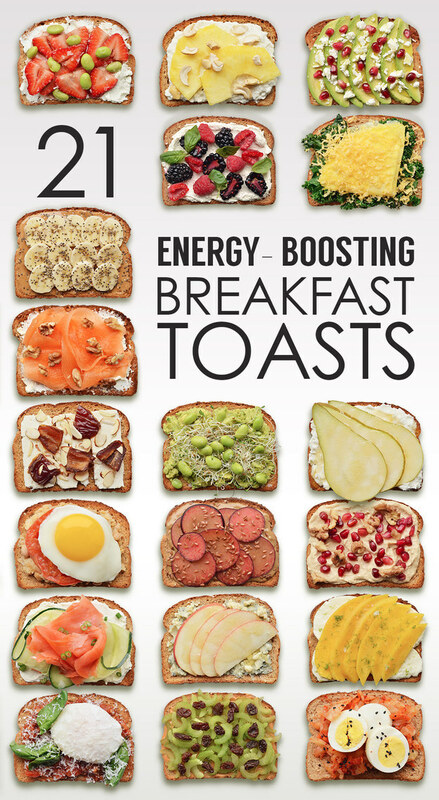 First up was a list of ideas for fast and easy energy-boosting toasts. 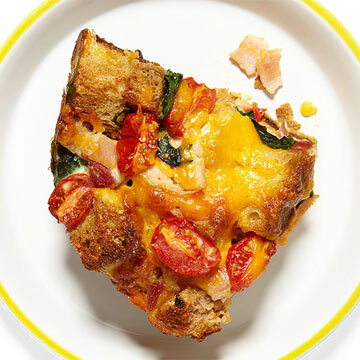 Look at a whole month of 350-Calorie Breakfasts from Rachel Ray, like this Cheesy Bacon and Tomato Strata. These Skinny Vanilla Glazed Raspberry Swirl Scones can be made ahead for a quick and tasty breakfast on the go. Oatmeal is a hearty winter favorite and heart-healthy. Get some inspiration for all the things you can do with it. 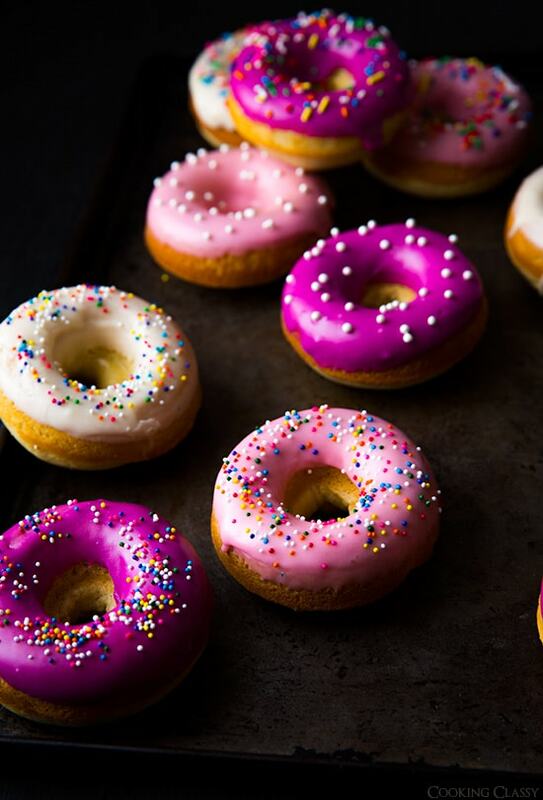 These Baked Vanilla Bean Doughnuts are easier than the fried treat and a much healthier breakfasts. This Low-Fat Chocolate Chip Raspberry Quick Bread is a great baking project for the weekend that will make a tasty breakfast all week long. Vegetarian Benedicts with Thyme Sabayon are a unique twist on the Eggs Benedict classic that will be perfect for a weekend breakfast. This week in food, we gave you delicious and healthy recipes for Christmas cookies to make for your holiday celebrations. First up was a classic Gingerbread Cookie that clocks in at just 91 calories. Chewy Molasses Cookies are a spicy holiday classic you can leave out for Santa. These Chocolate and Peppermint Cookies have all the flavors of the holiday season. These Raspberry Linzer Windowpane Cookies are delicious at just 79 calories each. Try these easy Pistachio Thumbprint Cookies for a gluten-free option. These organic Coconut Butter Cookies are also gluten-free and no-bake. Mexican Chocolate Cookies have a surprise kick, and are just 80 calories each. This week on social media, we gave you helpful holiday safety tips for staying safe this season. Make sure you carefully inspect holiday lights each year and throw out old or damaged lights that could cause fires. Fresh trees are best for avoiding fires. Fake trees should say they’re fire resistant. Always turn your holiday lights off when you leave the house and go to bed. Never connect more than one extension cord together. Use one long cord. Connecting extension cords increases the risk of fires. Never keep open flames near your trees, garland, wreaths, or fabric decorations. Don’t burn wrapping paper in the fireplace. They can ignite and burn suddenly and intensely, causing worse fires. Be careful with fire salts that change your fire’s color. Keep out of the reach of children, they can contain heavy metals. While most of your holiday food is pretty standard, seize the unique opportunity for family Christmas breakfast with these recipes. First up, is a cozy Pumpkin Spice Oatmeal that you can make ahead in your slow cooker. Pumpkin Spice Slow Cooker Oatmeal + A Double Giveaway! These Cranberry Chocolate Biscotti are a great breakfast treat with coffee, and make good gifts. These Savory Breakfast Pizzas are quick to make, and sure to be a family hit. This Berry, Banana, Quinoa, and Steel Cut Oats Bake can be made in advance and is healthier than coffee cakes. 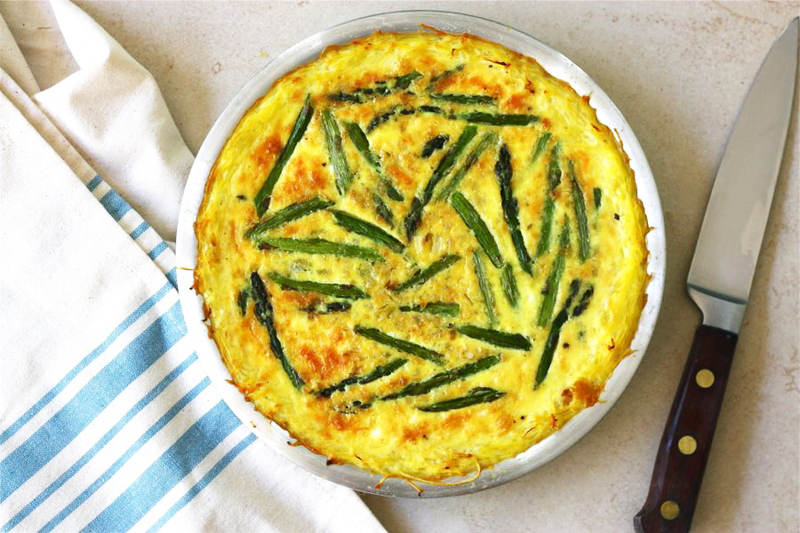 This Asparagus Quiche has a secretly healthy crust, and your family will never know. These Whole Wheat Apple Pancakes look fancy and tasty, but are healthy!